We live in a suburban town in Massachusetts, Northeast United States. 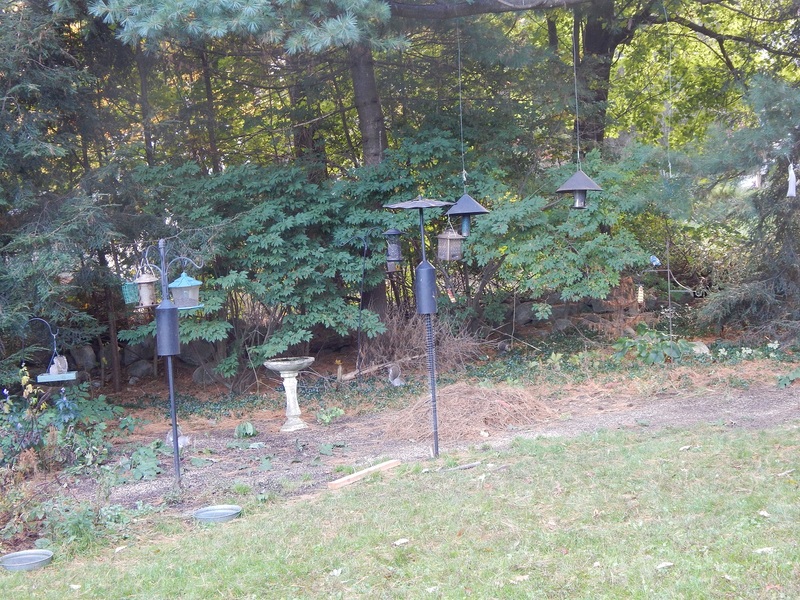 We keep a lot of bird feeders stocked all year with things birds and animals like, excluding meat and fruit. 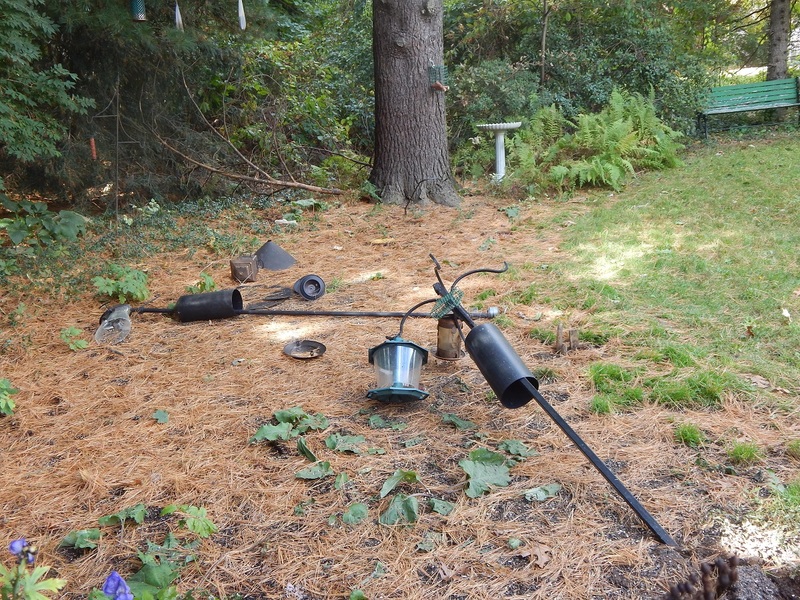 Yesterday, October 23, 2018, we woke up to find almost all the feeders knocked over. Some were pulled out of the ground, and two were pulled down from the wire attaching them to a tree branch above. As you can see in the third picture, whatever it was did not climb the tree to get to the food on it which is not very high up, and did not disturb the bird bath by that tree. We'd like to know what animal would do this. 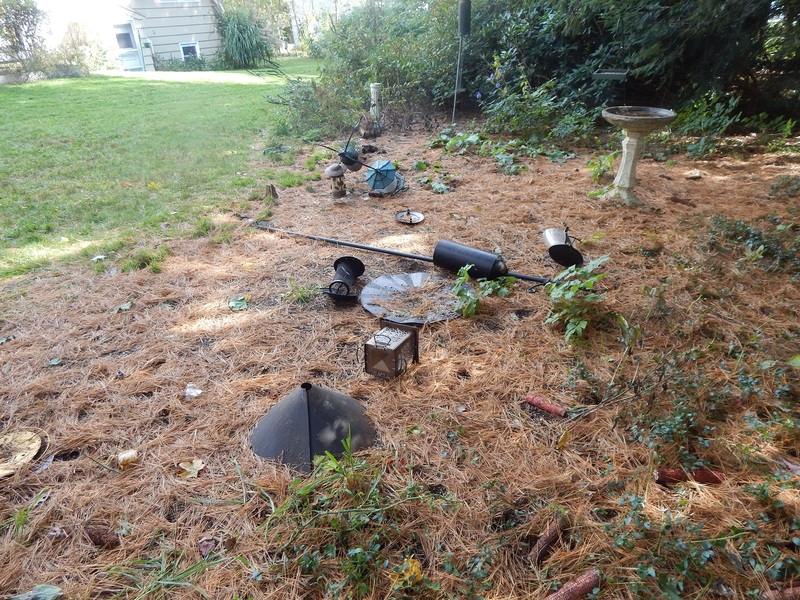 We've watched raccoons tip over small feeders, but have never seen the larger feeders brought down, especially all at once. Bears will definitely go smashing bird feeders to get to the seed and they are the only thing big enough to pull your feeders over. 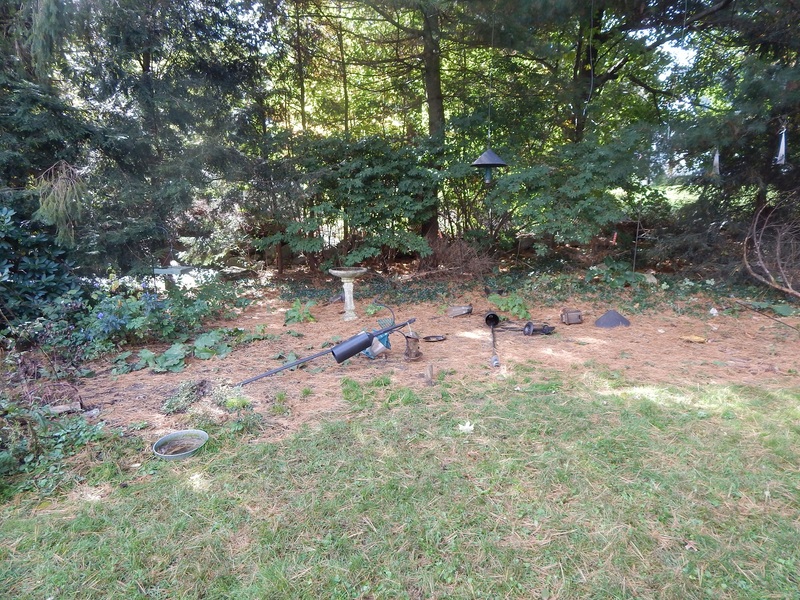 Yes, bears (and other wildlife) are readily attracted to back yards because of the presence of bird feeders. Bear nuisance complaint records reveal that at certain times of the year, bird feeders are involved in over 80% of the bear problems around homes. The situation often escalates to other unnatural food sources such as garbage cans, barbeque grills, and compost piles as bears become bolder and more acclimated to people. Such activities are not in the best interest of the bears or the homeowners. 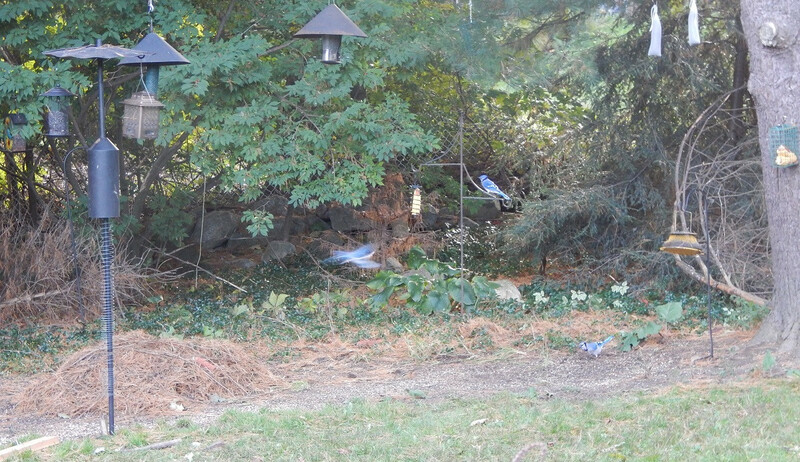 Apparently the only good solution is to remove the feeders, although you could put up electic fence around them. Not the answer you're looking for? Browse other questions tagged united-states bears animal-behaviour bird-feeding black-bears or ask your own question. What is the ecological justification (if any) for bird feeders?